Update 6/25/15: Recently the Project Fi mobile app was updated with fixes and new features. 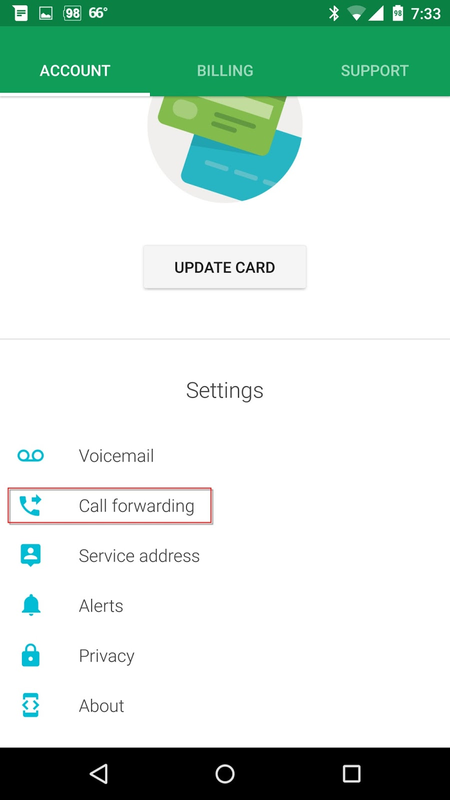 One of those new features is the ability to setup call forwarding right from your phone. Once you open the app, scroll down to Call Forwarding and tap on that. On the next screen tap on the big blue circle with a plus sign on the bottom right. 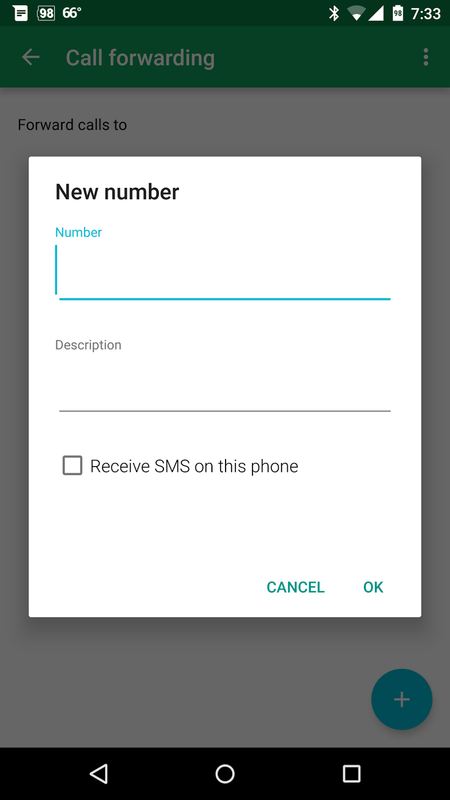 Then add your phone number, a description, whether or not you want to receive SMS messages on this new phone. 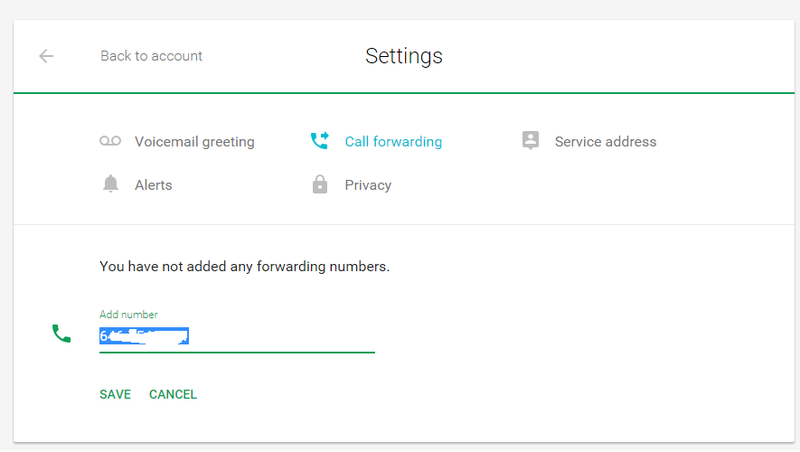 and tap OK.
Project Fi offers users the ability to forward your Fi calls to another phone number, as long as it is not an existing Google Voice number. Initial setup is simple, and can be done right from your Project Fi Home page at fi.google.com. The hidden advanced settings is where call forwarding can really shine. 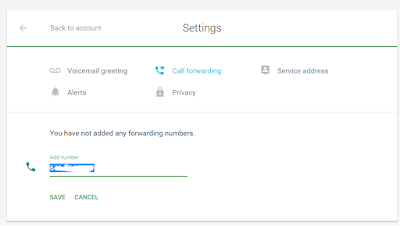 First, scroll down to the Settings section under the Account Tab and select Call Forwarding and choose Add Number. The screen to the right will appear and you can just add in your phone number. 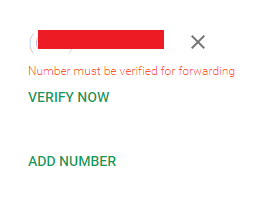 When you click save you will see the message, Number must be verified for Forwarding. 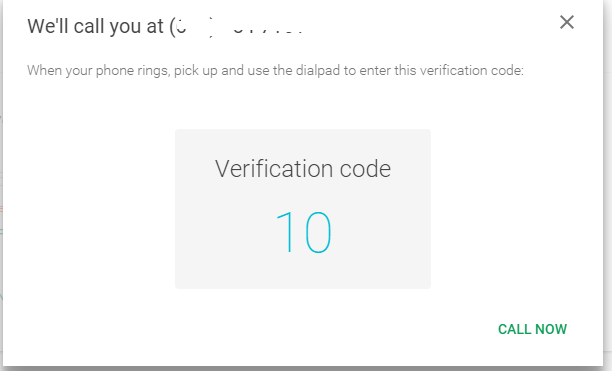 Choose the Verify Now button and you will get a popup window with a code in it. Select the Call now and your phone will ring. Just follow the prompts and enter your Verification Call. Now your new forwarding phone is activated. Now comes the real fun. You can add more than one forwarding number and set a schedule for when each number will be used for forwarding. For example, if on weekends you want your phone on your boat to ring, add that number, Or at night you want your calls to ring at your local bar where you hangout, add that number. In order to setup the different call forwarding schedules, you will need to navigate over from the Fi website to your Google Voice website. 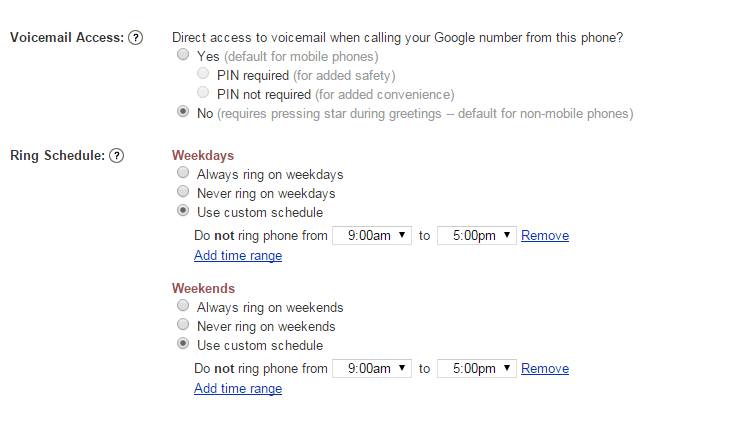 Do this by clicking on Google Voice at the very bottom of the Fi webpage. 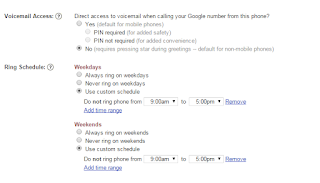 Once on the Google Voice page, go to settings under the Gear icon in the top right and then make sure you are on the Phones tab. Under the phone you added for forwarding, select Edit and then Show Advanced Settings link to show the screen to the right. Here you can set if you want to be able to retrieve your voicemails from this number, and whether or not you want it to ring on weekends, weekdays, or specific hours. 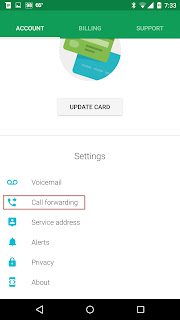 It should be noted that setup of forwarding cannot be done using the mobile Fi app. It can only be done from a browser. Hope you all have great #FiForwarding experiences. This makes me happy! I was worried Fi wouldn't have the call forwarding from Google Voice. 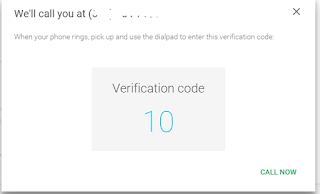 The key question for me is whether I can use Project fi as I use Google Voice - having a call ring BOTH my cell and another number so that I have a choice about where I answer the call. All I have seen addressed up to now is pure forwarding, in which the call rings a different number INSTEAD of my cell. Wow! That's great information that I haven't seen anywhere else, and believe me, I've looked! I wonder why Google has not made it clear that that's the way forwarding works on Fi. Anyway, that allays my last concern - not that I've received my invitation yet. ;-) Thanks very much, Scott. In this case, do you know which voicemail will get activated if I am unable to take the call? Will it be the Project-Fi one or the forwarded numbers or (I hope not) both? Does forwarding work to other regular land line phones? 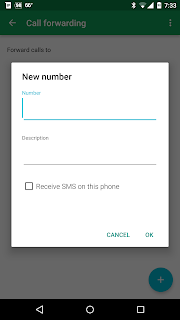 Can i forward an existing mobile number to my project fi phone? I cannot port the number over but want my fi phone to receive sms and calls to that number when i'm out of the country. Thanks! That all depends on your carrier. Some carriers dont allow forwarding of SMS. There may be third party apps that you can get to do this. somewhat related... but another "missing" feature from fi vs GV. Always send specific contacts directly to voicemail. Any way to do this within fi? The options to do this within GV were simple, fi seems to only allow BLOCK as the single option. Agreed, I have not been able to figure out that one either. Found it. Open the dialer app, find the contact in question, edit it by clicking on the pencil. Then in the three dot menu on the top right is Send all calls to voicemail. you can still 'route to voicemail' from your Contacts app, not your dialer.